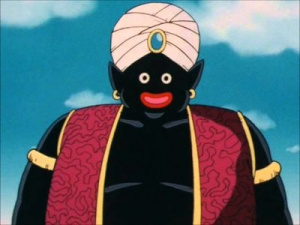 "Popo's about to teach you the Pecking Order." This page contains information on the various ranks that exist on the ThetaBlocks Minecraft Server and ThetaBlocks community. These ranks and their abilities are subject to change at any time if the server staff deem it necessary. Knowing the information on this page is a great benefit to players of all ranks. The progression of ranks on the ThetaBlocks Minecraft Server is a little different depending on the rank that is next to be obtained. These Ranks are always subject to change, with additional ranks being added depending on situations and administrative discussion. To be promoted to Member, you have 1 option. Create a build within the Travelers Valley using the official ThetaBlocks Resource Pack and request that it be reviewed by a Moderator or Administrator. Other Players may review your build and offer feedback, but only a Moderator or Administrator may promote you. To be promoted to Builder, you must meet two criteria. Be nominated by a player who is currently the rank of Resident or higher, and then be approved by an Admin. To be promoted to Resident, you must meet two criteria. Be nominated by a player who is currently the rank of Moderator or higher, and then be approved by an Admin. Provide proof that you further understand the tools provided with the rank of Resident and how to use them safely. To be promoted to Moderator, you have 1 option. Be recognized by the Administration to display qualities befitting the views and beliefs of the rank of Moderator. This rank is provided as an option to those that the Administration believes would fulfill the role effectively without the abuse of power or status. Moderators are promoted per agreement of a majority of Administrators. Have it determined that you, as a player and person, embody the qualities of an Administrator and show you have the trust and support of every other Administrator on the server. This rank is only provided at the sole discretion of the administrative team. Traveler is the very first rank obtained by players upon logging into the ThetaBlocks Minecraft Server. They are fully equipped to explore and discover the various areas and projects that exist on the server. Travelers appear with GREY names in chat. Change their game mode with /gamemode <gamemode>. Spawn playerheads using the HeadDatabase plugin using /hdb. Change their personal time and weather with /ptime and /pweather. Use commands to which they have access. Build within areas designated by server staff. Work with other Travelers they trust in Travelers Valley. Explore the various worlds that they have access to on the ThetaBlocks Server. Member is the second rank that can be obtained on the ThetaBlocks Minecraft Server. Players who have obtained this rank have access to build within every public world on the server, and assist on projects by asking the project lead for permission to do so. Member may also start their own projects within the main world. Members appear with a WHITE name in chat. Make their own ThetaWiki user page! Build within most worlds on the server. Assist others on projects with permission from said project leaders. Builder is a rank provided to those who show interest in learning tools such as Aerosniper and show interest in leading their own projects. Builders appear with a CYAN name in chat. Light access Aerosniper across all worlds. Register to access and view the server Dynmap. Access to emoting with /me. Resident is the rank provided to players who have shown that they have a level of maturity and skill in which they can be trusted with extremely powerful tools. Residents appear with a LIGHT GREEN name in chat. Access to teleporting with /tp. Moderator is the rank provided to those that the server staff believe can be trusted to uphold the standards and ideals for which the ThetaBlocks community stands. Moderators are provided with all the tools that server staff believe are necessary to keep the peace, and maintain order on the ThetaBlocks Minecraft Server. Moderators appear with a DARK PURPLE name in chat. Access to the ability to /tptoggle and the varieties of /tp. Access to changing server time and weather. Access to the ability to kick players who do not comply with server rules, or are being unruly or disruptive. Access to the ability to mute players who do not comply with server rules, or are being unruly or disruptive. Access to change player display names in chat using /nickname as per the request of the player, as long as said request is within reason. Access to features of core protect such as /inspect and /lookup. Access to the use of /broadcast to inform players about important information that is relative to them or what they are doing. Administrators are the leaders of the ThetaBlocks Minecraft Server. They are here to provide assistance to all players and see to the needs of the server and the community. Administrators have access to every command, and are expected to avoid the abuse of this power. Misuse of power by an administrator will be investigated by the server owner and other administrators. This page was last modified on 3 March 2019, at 16:20.